Content for briefs is selected from e-mail submissions to Community Editor Amy Edgett at aedgett@sierrasun.com. 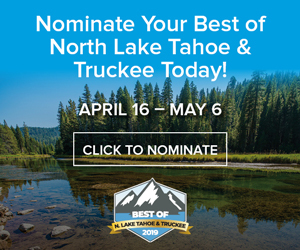 To enter community events online, visit http://www.tahoedailytribune.com/NorthShore/nCommunityCalendar, for entertainment http://www.tahoe.com. 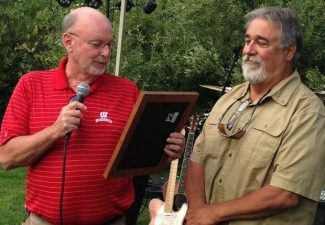 Truckee River Winery is hosting a fundraising event to continue the Friends of FightHardy Whitney Wednesdays on Aug. 27, 11 a.m.-9 p.m. There will be music and a photo booth. Proceeds from sales will go to Whitney Hardy, a Truckee native, who was hit by a car and suffered major head injuries while on an evening run on Feb. 20. Help Truckee River Winery raise money for Whitney’s long road to recovery and help her family get through this struggle. Aug. 28, 6 p.m., at Tahoe City PUD, 221 Fairway Drive, Tahoe City. The North Tahoe Public Utility District and the Tahoe City Public Utility District have partnered with Tahoe Resource Conservation District and the University of California Extension Master Gardeners to offer a Water Wise Landscaping Workshop. Get tips to meet Stage 2 Mandatory Water Conservation Plans to save water and money. Learn about Water Wise landscaping, how to irrigate efficiently, and receive information about conservation programs and services available to residents in both Districts. This workshop is made possible from a grant through California Proposition 84 Grant Funds for water conservation and the North Tahoe Public Utility District and Tahoe City Public Utility District. On Thursday, Oct. 9, the IVCB Veteran’s Club will host a Military Ball at The Chateau in Incline Village. The World War II and Korean War theme will honor all veterans with a special focus on those having served during these two conflicts. The Ball events include an era-appropriate dinner for guests, spouses and significant others. Entertainment will be provided with a band playing 1940s and 50s tunes. A semi-formal affair, appropriate attire includes coat and tie for men and dresses or gowns for ladies. Active duty and veterans may wear military mess uniforms with decorations. The evening will begin at 5 p.m. with a receiving line. A no host cocktail hour will precede dinner, followed by dancing. Tickets are $40, must be purchased by Oct. 6 and are available at the IVGID Recreation Center Desk. Raffle tickets ($10) are available. The Grand Prize is a weekend trip for two to the Grand Hyatt-San Diego with airfare provided by Southwest Airlines. Call Senior Program Staff at 775-831-1302 for information. Volunteer for the Wild & Scenic Film Festival Sept. 26 and 27 at the Community Arts Center, 10046 Church St., Truckee. Mountain Area Preservation is looking for volunteers to help with poster-ing, greeting, social media marketing, ticket sales, food service, recycling and zero waste team, wristband checkers, First Aid (licensed medical staff) set-up, tear-down, vendor booths and the national sponsor table. Split shifts are available. First come, first serve for early shift volunteers. Contact Volunteer Coordinator Nikki Riley at info@nikkirileydesigns.com or call the MAP office at 530-582-6751. Volunteers will receive a pass for the day worked and a goodie bag. A mid-September volunteer meeting will be scheduled to include a film viewing. Set in 1971 Washington, D.C. and the post-9/11 Bay Area, this novel of fugitive lovers, one Jewish and one Arab American, evokes the value and costs of love and the struggle against injustice. The Rescuer’s Path will appeal to readers intrigued by a multi-cultural love story, peace and social activism, mountain silences and human love, or the many ways political tragedy can ravage innocent lives yet leave seeds of hope. Monday, Sept. 8, 6:30-8:30 p.m. for eight consecutive weeks. Join a lively Beginning Italian to develop vocabulary and a solid foundation in the present tense, past tense and future tense. Incorporate conversation, traditions, geography and culture. Wednesday, Sept. 10, 6:30-8:30 p.m. for eight consecutive weeks. Join Intermediate Italian I and continue the development of the Italian vocabulary, grammar and conversation. Friday, Sept. 12, 6:30-8:30 p.m. for eight consecutive weeks. Join Advanced Italian and develop solid conversation utilizing all your grammar with today’s happenings in Italy. Read and write articles and stories. For any questions and directions call maestro Anna at 530-587-6054. Cost is $185 for each course and the book “Italian Now” may be purchased through amazon.com. Join the Family Resource Center of Truckee in supporting your community, friends and neighbors during the summer fund drive. For $10 per entry, you will be eligible for: Grand prize a $1,000 shopping spree at Truckee Hometown Sears; first prize a Weber Spirit 310 barbecue grill valued at $500, donated by Mountain Hardware & Sports; and second prize a $99 Apple TV donated by the Bailey Family. Tickets are available at Truckee Hometown Sears, Mountain Hardware & Sports, Stone’s Tires, AutoGlass Express Truckee, Paco’s Truckee Bike and Ski, Sunrise Rotary of Truckee at Truckee Thursdays. Visit FRCT at http://www.truckeefrc.org for more information about programs and services. The Resource Center is located at 11695 Donner Pass Road, Truckee. Call 530-587-2513. Sept. 1, boards Tahoe Gal at 5:30 p.m. 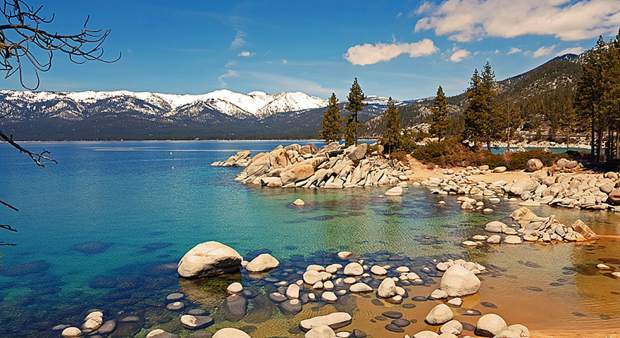 Invite your friends and family to join the North Lake Tahoe Historical Society for the annual summer’s end fundraiser on the Tahoe Gal for breathtaking panoramas, dinner, dessert and coffee. Proceeds will be used to purchase supplies to care for archival collections and reference materials. Space is limited, order your tickets by calling Marnie at 530-583-1762. Members $65, non-members $75. Truck on out to the 4th annual Calpine Marketplace on Sept. 6, 10 a.m.-4 p.m. Fun for the whole family and a great place to do early Christmas shopping. Arts, crafts, food and produce, classic cars “mini” show and shine’ all day barbecue; beer and wine garden; live music and all day raffle! New this year adding to the fun and games for children the dunk tank! Join the fun at Calpine on Highway 89, north of Truckee; south of Graeagle) Need information? Call Paula: 530-994-3610. Take your classic car – call Gary at 916-791-7364. Truckee Tahoe Peace Project is proud to collaborate with Trails and Vistas for the 2014 World Peace Concert on Saturday, Sept. 6 at Sand Harbor. Music, dance and art transcend all cultures and nationalities — a common language that touches the hearts of people worldwide. While governments and regimes may be in conflict citizens of the world may come together to celebrate diversity and cultural traditions in a spirit of peace, harmony and joy. Trails & Vistas World Concert, an original blend of award-winning musicians, aerialists and dancers, celebrates the arts with music from around the globe. Featured performers include violinist Scarlet Rivera, flutist Ann Licater, Reno Taiko Tsurunokai drum group, aerialist Tahoe Flow Arts Studio, InnerRthythms Dance Studio, San Jose State University’s Symphony Orchestra, SambaDa, performance painting with Susie Alexander and more. The World Concert is a collaborative event with the Truckee Tahoe Peace Project and opens with a duet by Rivera on the Violin of Peace and Licater on Native American flute. Concert tickets: $23 and up, trailsandvistas.org or 800-747-4697. The Monthly Pancake Breakfast fundraiser to benefit the Senior Meals program and the Meals on Wheels will be held on Sept. 7, 8-11:30 a.m. in the Truckee Donner Senior Apartments dining room, 10040 Estates Drive in Truckee. The sponsor is the town of Truckee Police Department. Open to everyone! Adults: $7, children $3. Arrive early. North Tahoe Regional Park, Tahoe Vista, Sept. 7, 11 a.m.-3 p.m. The 4th annual Dog Day in the Park 2014 is slated for Sept. 7 at the North Tahoe Regional Park in Tahoe Vista. All four-legged and two-legged family and friends are invited for a “dog day” afternoon. Entry is free with demonstrations, $6 rabies vaccines, $20 micro-chipping, licensing, a barbecue, beer/wine garden, dog and cat adoptions, live music, dog-themed carnival games for children and their pups, plus raffle. This year’s grand prize is a RCI pick your destination vacation valued at $1,500. This year’s event will include a special leash-cutting, ground-breaking ceremony at 1 p.m. to celebrate the Tahoe Unleashed dog park location. Raffle tickets are $5 each, three tickets for $10 or 35 tickets for $100, and you need not be present to win. Tickets may be purchased in person, http://www.tahoeunleashed.com or http://www.tahoewarf.com. All funds raised will help support WARF (Wylie Animal Rescue Foundation) and the building of a two-acre, fenced off-leash dog park at the Regional Park in Tahoe Vista. All donations are 100 percent tax deductible. Visit http://www.tahoeunleashed.com or email Pam at cpamberger@gmail.com.